Delegating is one of the most important management skills you can establish, but most managers don’t delegate well. Learning to delegate effectively saves you time, develops your people, grooms a successor and motivates your team. Whether you are leading a team on a project or the boss, it falls to you to ensure the right work gets done, Without appropriate delegation, your team will become inefficient and demoralized. In this training you will learn when it is appropriate to delegate, what to delegate, to whom to delegate, and how to delegate. This training will cover the steps to proper delegation and discuss some of the problems that result in not delegating correctly. You are a new manager or supervisor with a background in your field but little management experience and you know that delegation is an important leadership skill to develop. You are a manager or supervisor and you want to develop the members of your team and groom a successor and delegation is a good way to accomplish your goals. You are a manager or supervisor and you are feeling overwhelmed and stressed. You know that you should be delegating more work but you are not sure how to go about doing that. You manage projects and interact with others to achieve a single goal. Fill out the questionnaire on “How Well Do you Delegate?” for your own self-evaluation purposes link to questionnaire TBA) . Susan Schoenfeld works with the Leaders Institute providing team-building programs for corporations. Susan has over 20 years of corporate experience. Previously, she was a professional development and performance management consultant at Baker & McKenzie, spent more than 11 years as professional development director at Foley & Lardner LLP, and was the training manager at Extendicare Health Services. 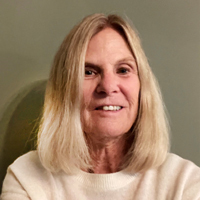 Susan has taught courses at several universities, including Marquette University and UWM, and has provided customized coaching, seminars, strategic planning, and motivational speaking services to individuals, businesses, and community groups statewide. She has also taught several workshops to law firms and legal associations and has coached executives on management skills and presentation techniques. Some of her clients include Hyatt Corporation, Time Warner, and the National Association of Realtors. Susan is a certified DISC instructor and has authored articles for several professional journals. Lecture (15 minutes): Explanation of why good managers should delegate so participants understand the importance of this skill. We’ll review why people are reluctant to delegate and why their concerns need to be overcome to have a successful project. The causes of ineffective delegation will be reviewed. Lecture (5 minutes) I will read a scenario about a manager who refused to delegate and gave all kinds of reasons why to his manager. We will examine possible solutions to this situation. Exercise (5 minutes): Recall a time when a boss delegated a task to you that proved to be a negative experience and why. Exercise (5 minutes): On a PowerPoint slide is a series of questions to answer which help define what types of tasks should be delegated. After reviewing this slide you should be able to re-examine the different tasks that you do and which of them might be delegated to others. Lecture (10 minutes): Delegating tasks to the wrong person for the wrong reason can produce a negative result. To avoid this problem, we will look at how to choose the best person to delegate work to considering the following objectives: direct results, development, evaluation, understanding capabilities, and working style. Exercise: (10 minutes) On a PowerPoint slide and in a PDF, is a list of tasks and the possible employees you might want to assign the task to. You will be given a description of the working style of each of the employees to determine the best person for the job. Lecture (10 minutes): Explanation of what needs to be considered before you delegate a task and the things you must do with your team and the person you are delegating to so that everyone knows who is accountable, deadlines are met, and the individual you are delegating to has everything needed to accomplish the task. Exercise (10 minutes): I will read a short scenario about a manager who delegated an assignment and the participants will identify all of the things that were not done correctly and what should have been done instead, as a review of what we discussed earlier.